Across the card double for the team! Golden Image won on her second start for Harry at Salisbury for her new connections and Pirate King won by 8 lengths to take the Maiden at Doncaster 20 minutes later. Congratulations to all connections, what a Sunday! Pirate King wins his Maiden, congratulations to everybody! 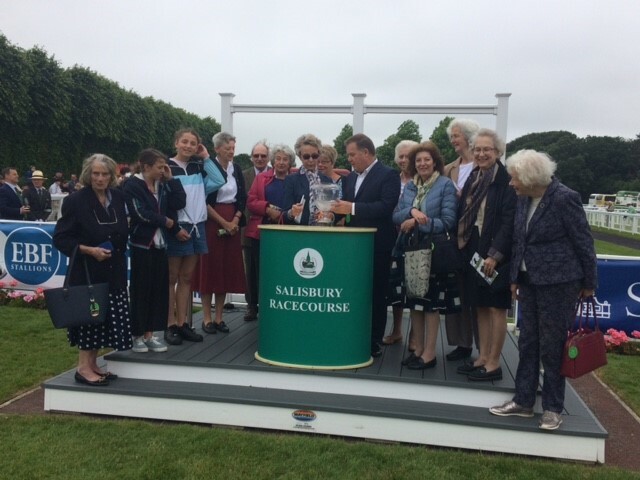 The Windsor House Partnership & Mrs Judy Maitland Jones collecting the trophy after Golden Image's win!